Save SAR 139 (69.85%) – Earn 6 Shukrans What is Shukran? Shukran is the Landmark Group’s award-winning loyalty programme in the Middle East, which allows you to earn Shukrans when you shop any of our brands. 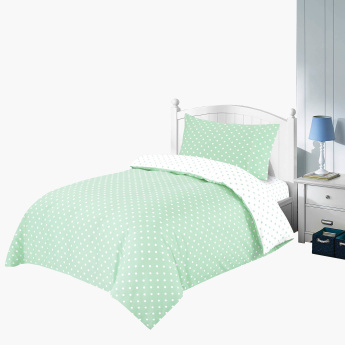 A soothing colour combination and soft texture, this beautiful duvet cover set is a perfect choice for your kid's room. It will surely enhance the look of the room owing to its digital prints all over.